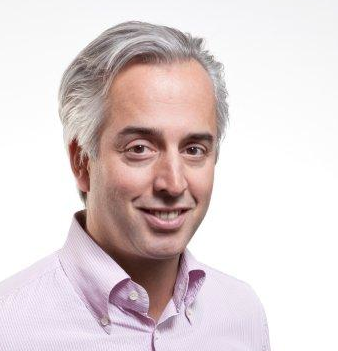 Bayer announced a new global head for digital health and finished its 3rd accelerator batch. Merck has officially doubled the size of its venture unit and is launching its 3rd accelerator batch in 2017. Many ‘big pharma’companies including Roche, Pfizer and Takeda have started to reach out to the startup world, attending most of the key European digital health events (Health 2.0, ECHAlliance, FT healthcare, Frontiers Health etc.). Not surprisingly, these initiatives created a flow of digital health entrepreneurs rushing towards partnerships with the big pharma companies in hope to engage with a potential exit candidate. Nevertheless the path to exit with a big pharma can be a daunting journey that can last a minimum of 2-3 years. Like any big corporations, they are huge organizations. Disseminating new digital health products across a base of a minimum of 100,000 employees (scattered around the globe) is a serious long-term effort that requires a lot of attention and time. One of the major pitfalls a startup can fall into are pilots that end up getting stuck in one country/division/function and never scale globally. For example, if startups knock at the marketing door, chances are that their job priority in an affiliate or region is to launch a drug and deliver targeted numbers. Their focus is miles away from scaling up a newly experimented digital health innovation, often perceived merely as an add-on to their drug-selling business model (unless it’s an app that can be used immediately as a marketing channel to support drug branding). One success of mySugr with Novo Nordisk relies on the clarity of the promise from the start: educating the market fast based on a trusted loyal base of patients. MySugr B2C model represents a recurring loyal user base of close to 1 million patients. And recent news proved it right: Swiss Pharma € 50 bn Roche acquired MySugr in June 2017 at an estimated € 70-80 Million sale prices to advance with MySugr Roche’s own digital strategy on the diabetes market. Medtech – alternative gate way to the health care system? This has forced medtechs to co-develop and partner with tech companies outside of their traditional boundaries to deliver shared-risk and value-based outcome to payers and patients. Omar Ishrak, CEO Medtronic, at JP Morgan Health Care Conference January 2016 already mentioned his “New Partnerships and Business Models based on Joint Accountability”. A few months later, Medtronic partnered with the digital brain of IBM Watson to improve diabetes treatments. Christian Krey, CEO of Emperra, explains to us that “Medtech companies in our ecosystem have always been familiar with creating and using data for patients’ benefit. They understand the value of data and how to use and combine them to find new business models. Most Pharma companies still see their future in selling molecules, having a longer way to data-driven business models. For a digital health startup a partnership with a medtech company will leverage both partners. 5) Moving “beyond the product“ into long-term Integrated health solutions. This growing loyal community of doctors is what Touch Surgery, founded by CEO MD Jean Nehme, succeeded in building. Its cutting-edge surgery simulation app helps surgeons train ahead of complicated surgery procedures, or to familiarize themselves with new surgical procedures. Jean highlights that “The key to startup success is the ability to articulate the “new” and the “old” way in the startup “pain killer” value proposition to your Medtech partner. The winning agreement between both sides lies somewhere between the new disruptive way and the traditional model looking at long-term and existing practice”, which Touch Surgery did with J&J Ethicon, Stryker, Smith& Nephew and Zimmer to name just a few. As Gabriel Enczemann from mySugr reveals, their successful startup approach has been on two levels as they are expanding from Austria, to the US, Germany, Italy, Belgium and Canada with the big Medtech Roche Diabetes. Speaking with champions and affiliates from two continents did help them build a global offering service that includes as well ready-to-pick options for country affiliates. “Partnering for a startup with a big medical device organization is like having an external regulatory department, and the startup is like the medical device organization’s innovation External lab” says Frederic Lordachs, co-founder and partner at Doctoralia from Spain. One thing is sure: Roche’s acquisition of MySugr predicts further digital health acquisitions by Life Sciences companies, increased digital health valuations and investor interests. What digital health startups have recently built with Medtech companies will pay off in a shorter timeframe. If somebody told me just some years ago that hospitals would soon be using social media as a means to advertising their services and communicating with potential patients, I would be pretty surprised. However, big social media platforms deservedly earned their popularity in the healthcare sector due to their effectiveness in connecting those who provide healthcare services with those who are searching for them. It is true that in many countries hospitals still don’t view powerful social platforms like Twitter or Facebook as a communication tool between a potential patient and a hospital. But the fact remains: In many countries it has proven to be effective and lucrative for hospitals to use social platforms, also due to significant changes to the health insurance system in Switzerland over the years and the need for hospitals to prove their function as an economic enterprise, using the structure of Swiss Diagnosis Related Groups, the Swiss version of a fee-per-case system. But not only hospitals can use social media to their advantage. Patients can also benefit from the use of social platforms in order to convey their wishes to those, whose services they might be using later. Being a frequent guest in hospitals due to diabetes and gaining deep understanding through my experience about how medical insurance, health centres and hospitals work, I took interest in the subject of hospitals’ involvement on social media. I am going to analyse the use of social platforms by some hospitals in Switzerland in order to show what catches an eye of a patient and what she or he expects from a hospital to publish on its page. First of all, it is very important for a patient to be engaged in conversations with other people, especially with those who face the same difficulties with health. Sharing experience and seeking advice is an important part of the interaction between patients and doctors or other patients, who went through the same troubles. This kind of interaction on social media can be encouraged by letting patients speak on camera about their experience through an interview (for sure, if the patient himself agrees to share his story) or letting them leave reviews and comments on social platforms. It is also advisable to let patients speak openly about their experience at the hospital, no matter if good or bad. I found it very nice that hospitals like the Universitätsspital Zürich or the Klinik Hirslanden are answering politely on Facebook to all kinds of comments from their patients and trying to solve conflicts with all possible means. It helps show people that their opinion matters and that measures are undertaken to improve the level of satisfaction with the services. The second thing that is greatly appreciated by patients is the publication of educative videos and articles on the page of a hospital. I have found loads of informative articles on diverse health problems on the pages of different Swiss hospitals. However, the quality of content varies greatly. The best work done so far in this direction is the videos from the Klinik Hirslanden on YouTube. Their videos are very informative, helpful and comprehensible. It is essential to remember that most patients don’t have medical education and they shouldn’t get a feeling like they don’t understand what they are reading or watching. The information has to be easily interpreted and put in simple words so that even children can understand it. In this way hospitals can make connections between patients, create a friendly and caring atmosphere and build credibility and trust. Another important thing that patients value greatly when it comes to relationship between hospitals and patients is the demonstration of concern and care for other people. One of the ways to show on social media that your team at the hospital is not indifferent to the suffering of others is by posting news about different humanitarian campaigns and encouraging those who are interested and want to help to take an active part in volunteering work. I found it touching, when I discovered a link on the Facebook page of the Stadtspital Waid in Zürich to a project that a group of doctors organized in order to help establish basics for accident surgery in Tanzania. The Stadtspital Waid reported about their trip and the work the doctors are doing there. It is a great way to show support for the people who have no access to good medical care and social media can help build awareness and sympathy. Since social media platforms are gaining popularity not only among private internet users, but also in business, it is only left to say that every hospital that wants to ensure its further success and development needs to consider being active on social platforms. Many hospitals in Switzerland are moving in the right direction, providing all the information needed for the patients about the hospital itself and its services. It allows building a bridge between a patient and a hospital, because communication is the very first and most important step in promoting mutual cooperation and trust between the two parties. Are you a hospital or another institution in the healthcare system? Do you want to raise the attention of your stakeholders and improve communications to (potential) patients, medical doctors etc.? Then we might be able to help you. Sind sie für ein Spital oder eine andere Institution im Gesundheitswesen tätig? Wollen Sie die Kommunikation mit Ihren Stakeholdern wie (potentiellen) Patienten, Ärzten und Mitarbeitenden verbessern? Gerne helfen wir Ihnen dabei. In the life of a person, for whom daily intake of various medications is a necessary evil, an easy-to-use and efficient reminder is a life-saviour. When it comes to meds, everything has to work precisely. I know how easy it is to forget to take a pill on time. I also understand that the price is high for forgetting to take the medicine. After all, you can never expect to reach the desired effect from pills if you don’t take them, right? The challenge of keeping track of the prescribed medications can be met with a smartphone in your hand and MyTherapy Med Reminder downloaded on it. MyTherapy is a must-have application for every person who has to take medication regularly. This digital helper can take some weight off your shoulders by allowing you to set reminders for all kinds of medications, measurements and activities. I am going to present you a list of strong points of this application and explain why, in my opinion, it is one of the best reminder apps I have ever used. If you are looking for an application that can connect you with your doctor and do all the job of explaining him how successful you are in following the prescription, MyTherapy is a good tool for that. The application allows you to share reports with your physician. These reports are handy because they visualize the progress in your treatment which makes it easier for the doctor to detect any inconsistencies in your medication schedule. He can also decide if the dosage of your medication needs some correction, because all the measurements and symptoms can be entered and saved, making it easier for your doctor to understand the effect of the given medication portion. MyTherapy is an application that is incredibly easy and convenient to use. After registering and entering your personal data, you can create a list of all the medications you take throughout the day. If the medicament is not in the database, you can enter the data manually, thus saving all the necessary information about the medicament and creating a reminder. There is a long list of symptoms and activities that you can choose from when you are to report in detail how you feel and what you do during a day. You can also be reminded to describe how you feel after taking a medicament and save this information for later to review with your doctor. Another useful feature is the ability to set reminders for meds that demand a different schedule of intake – every hour, every day or every week. Afterwards, all you need to do is just cross them out as you complete the task, feeling satisfied and happy. In many applications, the importance of communication between app developers and app users is neglected. However, the creators of MyTherapy seem to be willing to change that, communicating actively with the app users and trying to help in any way to work on the improvement of the app. They are working with us to deliver a product that meets our needs and ensures that all users are satisfied with the results. It is essential to be able to share your opinion and, in some cases, criticism with the people responsible for the usability and functionality of the app. There was just one little drawback that I encountered while using the app. The list of medicaments that I could choose from was very short and I had to type all the information manually. Scanning the barcodes of the meds didn’t help, because all the medicines I take were not available in the database. It is just a minor flaw but it was a bit frustrating because the list of the pills I am taking is pretty impressive and not a single one could be scanned. Fortunately, this little thing doesn’t have a bad influence on the overall performance of the application, because once you are done with entering the data, you can relax while the app is working its magic. All in all, I would say that this application is great. If you use it, you don’t have to be afraid to miss a single pill anymore. It takes all your medications and overall health data under control and helps you stay organized to help regulate potential health problems. The application does its job in simplifying complex medication schedules and taking your mind off from constant control over your health maintenance. This very sophisticated reminder has everything that a person with a chronic condition needs to maintain his health and lifestyle on the habitual level. The application is free to download on the App Store or Google Play. Evgeniya Jung, a digital nomad, studied at the department of International Relations in Russia. She moved to Switzerland two years ago and since then she has been travelling and working on improvement of her German skills. She has particular interest in digital healthcare due to having Type 1 Diabetes, which gained her vast experience with the health care systems in different countries. From 10th to 12th May 2016 the 7th edition of Health 2.0 Europe will be back in Barcelona. Ready to reshape digital healthcare, the fascinating venue comes along very internationally, with healthcare actors from all over the world, showcasing more than 50 live demos on stage. We asked Aline Noizet, one of the organizers of the conferences at Health 2.0 Europe about the objectives of the upcoming event and her engagement at the Bayer Grants4Apps® Coworking in Barcelona. Aline, what makes the Health 2.0 movement so special and how does the upcoming Health 2.0 Europe conference in May 2016 differ from the many other venues about digital healthcare? Health 2.0 conferences are very international, very hands-on and with a special focus on digital health startups. We believe that they will lead the way into the future of healthcare. Aside from our 7 international conferences taking place once a year (US, Europe, Latin America, Middle East, India, Japan, Korea), we are spread around the globe with nearly 100 local health 2.0 chapters. And that’s very much reflected in our conferences: Our speakers and demoers on stage are from many different countries and we make a point in bringing diversity on stage in order to have an overview of what’s happening in the different countries, bringing different perspectives and sharing best practises. In Health 2.0 Europe in May, you will be able to see more than 50 live demo on stage – 4min presentations where companies are demoing their solutions from a user perspective. No slides no video. If you want to see how healthcare is being reshaped through innovation and new technology, mingle with international digital health champions who are shaking the system, investors interested in digital health projects, then Health 2.0 Europe is the place for you to be. Which topics and issues will be discussed at the congress? This year we really want to focus on bringing digital health champions. We don’t want just talks, we want action. We don’t want just predictions, we want experiences, results and outcomes. Successful entrepreneurs whose solution is improving efficiency, reducing costs and proved to be a positive return on investment. We are also preparing some thematic hands on sessions, which promise to be a great source of information, knowledge and entertainment. More information will be published soon on our website. Which digital health champions are a must-see? It’s complicated to pick some, as the champions who will be at the conference, on stage or in the audience are all really inspiring champions in their own way. Patients like Domingo Escudero o Nuria Zuñiga are great examples of empowered patients who are not only using digital tools to manage their own chronic disease but also to help others. Another inspiring champion is Rafael Grossmann, the surgeon who carried out the 1st surgery using Google glasses. He will be on stage to share his experience as a pioneer using new technologies and especially Augmented Reality tools. He will also share some insights on the new Google glass project. Without a doubt, our other keynote speakers Esther Dyson,reference in US in digital health and investor in various digital health related companies, Julio Mayol, digital health reference in Spain,Pēteris Zilgalvis head of ehealth and innovation at the European Commission and Damien Marmion, head of digital at AXA will bit great source of inspiration too. You are not only a passionate health innovator but also the program manager of the Bayer Grants4Apps® Coworking in Barcelona. What is this place offering for startups? Grants4Apps® is a very exciting project and very much aligned with Health 2.0 vision, as it is bridging the gap between startups and big industry companies. It is part of Bayer’s global open innovation approach, which includes a number of successful crowdsourcing and co-working initiatives. It started in Berlin 3 years ago as a 3 month accelerator program and was brought to Barcelona last year in a slightly different format. The idea is to support and incubate digital health startups with promising projects and get more involved in the digital space which will without any doubt play an important role in the future of the pharma industry, especially in the ‘beyond the pill’ challenge that pharma are facing. We always see Pharma as being the ideal target customer because they are said to have money, but Pharma can actually be more partners than customers. That’s what Grants4Apps® is proving. Bayer has been pioneer in collaborating with startups and an early supporter of Health 2.0. The Romanian economy has been a sensitive topic for quite some time. But starting with 2007, the small enterprises have been encouraged to develop more and more, especially by investing money in developing projects for which they got funding from the European Commission or from the Romanian Government. There hasn’t been much emphasis on an entrepreneurial education which is probably responsible for the small number of SMEs in Romania. I hope this is about to change, because I have seen more and more projects for young people, where you can learn things about running your own business, and the advantages of being your own boss and so on. Another reason for my hope of change is the fact that there are business incubators and places where you can develop your new business. You can benefit from financial support, consultancy and offices. For me, this is one of the best projects implemented by our government, but I had no idea about it until I was a trainee last summer for The Small and Medium-Sized Enterprise, Business Environment, and Tourism Department. There I heard about this project for the first time and I was really excited that startup companies have opportunities like this in Romania. The idea was first implemented in 2005-2006, as a pilot program, to see if it works and if there’s a need for it on our market. 3 incubators were formed for 60 businesses and for 3 years, which were helped by our government. 56 of the businesses ended successfully the 3-year incubation period, creating 255 new jobs in 2009. Given the fact that the pilot phase was a really successful one, 10 other incubators were set up in other regions of the country. Each business incubator houses between 16 and 24 businesses for a period of three years (the duration of an incubation cycle). At the end of 2014, 330 businesses were “incubated”, creating more than 700 new jobs. What are the benefits for an entrepreneur go work with a business incubator? Consultancy services, specific to the pre-incubation and incubation periods, free of charge or at low costs. Moreover, business incubators are platforms for business development. They offer opportunities for networking, transfer of know-how, learnings exchanges and partnership development. The aim is to support the development of early-phase startup companies and help them to reach stability and autonomy before leaving the Incubator. After graduating from the business incubation program, companies should have increased competitive power and higher chances of long-term market survival. Who can apply for the business incubation programmes? The selection process is carried out locally, at the level of each Business Incubator in the project. Tenant firms are selected upon their innovative business ideas. Therefore, I do believe there is hope for new businesses to develop at the same time as our economy. The government is clearly trying to improve something and I hope they will continue doing it. And as soon as I will decide to start my own business, I will definitely apply for the business incubation program. Ioana Vasiloiu has a Master’s degree in International Relations gained in Bucharest – Romania, and also studied International Marketing in Poland. She has been working as a Social Media Coordinator for two years now and is enthusiastic about new developments in business and marketing. Digitalisation and new technologies are rapidly changing the way we work, cooperate and communicate. Having a fixed office space where you sit from 9 to 5 seems somehow outdated. Especially freelancers, students, travellers or start-up entrepreneurs often don’t have their own office anymore. They don’t need to. Digital nomads can set up their office anywhere, anytime; all you need to work is a laptop, the WIFI password and a proper coffee machine. 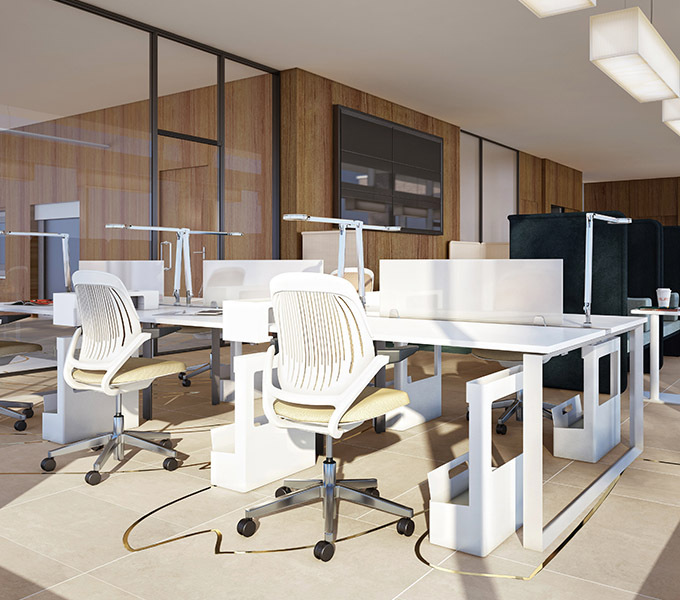 Co-working spaces provide this kind of infrastructure and aim to create an inspiring work environment. We have tested four options in Zurich and rated them according to price, location, atmosphere and quality of coffee. The fancy Büro Züri has opened its doors in August 2015. This very modern and well equipped office space offers a variety of single or double working spaces and even a conference room for up to six people, which enables video conferences. Work spaces can be booked online and are available Monday to Saturday between 7am and 7pm. This co-working space is sponsored by ZKB and costs absolutely nothing. Büro Züri is located at Bahnhofstrasse 9, not far from Parade Platz. The office is a bit over-styled and looks very much like the foyer of a bank or fancy hotel. People usually work quietly which allows for a very focused atmosphere. Coffee and mineral water are free and can be ordered at the “bar”. Staff is very friendly but add to the rather stiff atmosphere by looking like cliché bank employees. Conclusion: Büro Züri is a great (and free) co-working option in the heart of Zurich. It gives you the modern infrastructure you need to work with a lot of focus. The incubator Impact Hub Zurich is all about community. When you join you will not only be able to book the co-working spaces in Zurich and more than 80 other cities around the globe, but you will get access to a vibrant network of over 11’000 “hubbers” (550+ in Zurich). You can meet these people at member events, through Impact Hub’s own virtual cooperation platform, in the café areas of each hub or just while you’re working on your next project. 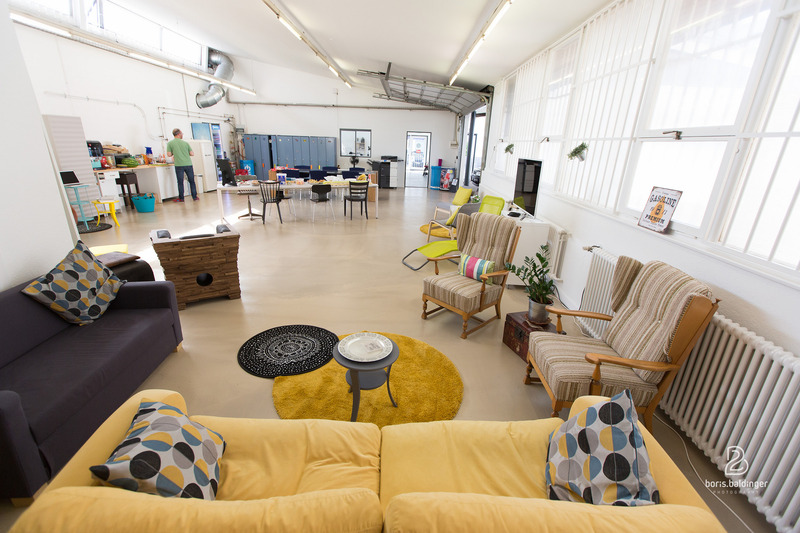 The setting of the Impact Hubs encourages connections and creative exchange between the members. A membership starts at 45 CHF/month. You can then book as many days at the co-working space as you need, for 25 CHF/day. Impact Hub Zurich has various locations within Kreis 5. The newly opened Colab at Sihlquai is the biggest of these venues, with 1700sqm of working space and relaxing areas. While the hubs also provide quite working areas, the main focus is on a relaxed, communicative atmosphere. There is sometimes music and often people discussing new ideas and projects. It’s an inspiring environment to be creative but you might get distracted a lot. Coffee, ChariTea and beer are available for sale at reasonable prices. Conclusion: Impact Hub provides a very hip and creative environment which is well worth it’s price. When you are working on the next big thing and need some feedback or are looking to make valuable connections, this is the place to be! BUREAU.D has been initiated by Thomas Kupferschmied and is run by an association of creative people. They created this space to meet their own criteria, which makes it an excellent choice for those who don’t fear the way to Dietikon. It offers six permanent and up to eight flexible work spaces which can be booked on a daily basis. Work spaces can be booked for 25CHF/day. You don’t have to be a member to work at BUREAU.D but if you are, you can get better rates. Eventhough this space is located in Zurich’s “agglo” (suburb), Dietikon can easily be reached from Zurich main station or by bycicle. The very unique interior and big open space create a lovely atmosphere to inspire a creative mind and to meet friendly people. You can get coffee for one Swiss Franc – which is incredible. Cold drinks can be bought from the fridge or you can bring your own picnic. Conclusion: BUREAU.D is a wonderful choice for a creative people that appreciate a unique working environment. Dietikon rocks! Toni Areal is home to Zurich University of the Arts, zhaw and the Museum für Gestaltung. While it is not an official co-working space, Toni Areal offers a vast amount of lovely working spaces for students and visitors alike. You can sit in one of the cafés, at the group working spaces in the atrium or grab one of the many flexible tables which are scattered throughout the building. The undisputable highlight however, is the beautiful roof-top which offers breathtaking views and oasis-like working spaces within the herbal gardes. The only downside is that there is no WIFI for non-students. It’s a university, so just sneak in and pretend to be a student. It helps to wear big glasses. Toni Areal’s architecure alone is worth a visit. Go explore the various areas and try different spots to work at. If you get bored, you can visit the exhibitions at Museum für Gestaltung. Lots of arts students roam around, it’s always busy and the high ceilings create a powerful echo. Get your coffee from one of the many cafés (Café Z, Bistro Chez Toni, Momento etc.) where you pay around 3 Swiss Francs per cup. Conclusion: A very vibrant and busy atmosphere paired with stunning architecture and a variety of working spaces. If there was free WIFI, the place would probably be overrun. We are curious to hear about your own experiences at co-working spaces. Have you been to one of the four mentioned above? Do you have other favourites to share with us? Please leave a comment! The 8 most astonishing insights at the HEALTHINAR workshop day. Be inspired! We are living in a science fiction movie. Whether it’s the tricoder from start trek, the miniature submarine from Fantastic Voyage or even cyborgs – what used to be the fantasy of science fiction authors is reality today. Kamales Lardi used these allegories to take us into the fast evolving world of medical technology and digital transformation. And the pace which with technology is moving today is getting even faster. So just imagine what kinds of developments we are looking forward to. A heart is a heart is a heart. Or is it? Think about the image of a heart. What do you see? An icon, an illustration or a photo? In her engaging workshop, Esther Stüdli used this example to create awareness for the professional use and variety of visual communication elements. The exercise also sharpened the participants’ perception of which level of abstraction might be appropriate for a certain message or target group. The experience of waiting goes way beyond counting minutes. Social time and mechanically measured time are two different concepts. When improving the waiting situation, e.g. in a hospital, it is important to take both aspects into consideration. Beatrice Kaufmann is part of the interdisciplinary research group “Health Care Communication Design” at Bern University of the Arts (HKB). She shared some of the amazing insights from the project “Waiting Times”, an experiment which was conducted as a holistic intervention, taking into account visual, acoustic, tactile and olfactory elements. It resulted in a measurable effect of the influence of artistic redesign of interior spaces on the individual experience of waiting. A truly shocking fact presented by Manuel Heuer, coo at dacadoo, is that more people die because of too less exercise (mostly from cardiovascular diseases) than from the consequences of smoking. There are estimations that 65% of health care costs in Europe could be avoided by a change of behavior. Social Media is a lot more than a marketing channel. While marketing is an obvious choice for the use of social media channels, there are numerous other ways and objectives to utilize these platforms. Social media is pretty much any “conversation that people have online” – as Kamales Lardi explained to the audience. Thomas Kupferschmied showed in his introduction how digitalisation has changed our society, the way we work and how we communicate with each other. Working independently from time and space provides new freedom and the easy exchange with colleagues and clients can simplify processes. The discussion among participants showed that this vision is already reality for many and that the right tools and strategies to manage a digital work environment will become even more relevant in the future. Software companies rule the world. The world’s biggest library? Amazon. The world’s biggest taxi service? Uber. The world’s biggest marketing company? Google. Manuel Heuer used these examples to demonstrate how far digitization has already influenced various industries and our everyday life. He claims that it is only a matter of time until this kind of digital revolution also sweeps over the healthcare sector in Switzerland. So grab the opportunity, become part of the change and shape the future! Kupfi is now on WhatsApp. It came as a shock to many but it really is true: Thomas Kupferschmied is now on WhatsApp! To see which other apps, programs and channels he uses to stay in touch with people and to organize his digital work environment, have a look at the last pages of his slides. Participants of the workshop can download or request the slides of all speakers here. And what where your highlights of our workshop day? Or what should be a topic at a next HEALTHINAR event? Manuel Heuer will present the workshop “Medical Apps: Thread or Opportunity?” at the HEALTHINAR event on 18 September 2015. Manuel Heuer combines 20 years of international business experience in the cardiovascular medical device industry and the fast moving consumer goods (FMCG) industry in Brazil, Belgium, France and Switzerland. In November 2011 he joined dacadoo where he is now responsible for product development, service operation, marketing and sales. Interview mit Manuel Heuer auf Deutsch. Mr. Heuer, there is a real hype around medical- and wellness apps at the moment. What is your opinion on the development of this trend? First of all, it is important to differ between medical- and wellness apps: While medical apps are a medical product and therefore need to be approved by several institutions (FDA, CE-Mark), wellness apps do not need to go through such a process. Right now, there are numerous fitness and wellness apps in the various app stores and many of them are cost-free offers. That causes two difficulties: It is becoming increasingly challenging for a user to find and to choose the right app, and on the other hand the companies are struggling with a very low „willingness to pay“. Recent market data also shows that about 90% of all apps installed are not being used any more only one week after the purchase. As a result, app developers appear and disappear very quickly in the market. However, there are still relatively few apps that are able to display health in a holistic way, which means that we currently do not have a great number of competitors in the European market. The number of existing apps in the app stores also doesn’t really matter to dacadoo, because we are following a B2B go to market strategy. I believe that in the future, people will have at least one or two apps which fit their need to track and evaluate their health and lifestyle. Could you please give us a taste of what your workshop session on 18 September will be about? The workshop will discuss threads and opportunities of medical and wellness-apps. Besides reviewing some fascinating developments within the digital healthcare sector, I will provide insights into the work of app developer dacadoo and discuss some challenges which we are currently facing. An interactive group work session about go-to-market strategies will be the hands-on aspect of this workshop. Who is the target group of your session – which people should make sure not to miss it? There is no strictly defined target group. Everyone who’s interested in the topic is welcome to join. What can people expect to gain from participating in your workshop? They will be able to gain detailed insights into the digitalisation of the healthcare market and also get the rare opportunity to look behind the scenes of a player who has been in this market since 2011. -> Get your ticket now, and learn all about medical apps in Manuel Heuer’s workshop. – Andrea Heiniger, Social Media Manager, University Hospital Zurich. After some opening words by our CEO & CMO, the four speakers presented their institutions social media strategies in a short presentation. After that, the public had the chance to discuss the topic in an inspired atmosphere with lots of questions and a refreshing networking reception afterwards. Thank you all for making this first event unforgettable!